Let’s face it; we need warmth and sunshine after a long cold winter, right? I know I do. I hibernate like a Chicago Bear in the winter! However, when it comes to May through October, I like most like to be outside as much as possible. Therefore, this is the perfect time of the year to plan to add an outdoor element to your Spring and Summer group planning. 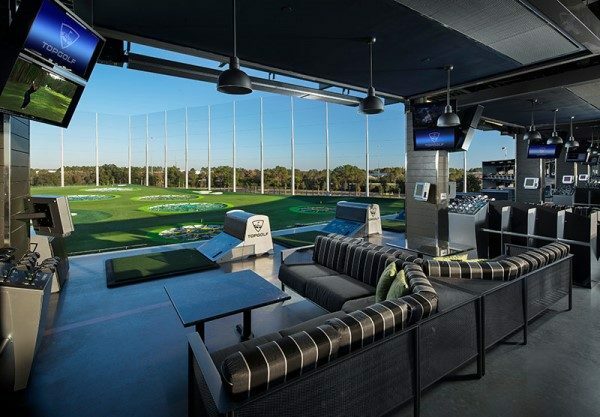 Topgolf Naperville is a place our group goes every year for our group outing only because some love golf. I don’t necessarily golf well, but it’s one of my favorite places to go because of the atmosphere and you don’t need to golf well to hit a golf ball from the second level into an area that gives me points from a microchip inside the ball that I just hit. The food, service and drinks are awesome too! Murphy’s Rooftop – I have always said, there are a few things groups must do in Chicago at least once. First, you have to take in the skyline from a vessel on Lake Michigan or the Chicago River. Second, you must experience a rooftop in Wrigley Ville. Now, this is just a heads up; many if not all of the rooftops across the street from the ballpark have blocked or partially blocked views. However, I really believe that for groups, there’s nothing more “unique” than being stories above Wrigleyville with a beer in hand overlooking Wrigley Field and hearing the sounds and cheers from the ballpark across the street during a Cub game. I would also highly recommend learning and experiencing the city on a Segway Tour as well as taking in a Chicago Helicopter experience! One of my fave’s is Absolutely Chicago Segway Tours. They offer multiple tours for small and large group outings. Some tour options include art and architecture, history, museums, fireworks, and general city tours. Cap your tour off with lunch, dinner or drinks afterwards at a nearby restaurant. A Chicago Helicopter Experience can be combined with a private boat to take your group from the downtown Chicago to their location and back. In addition, your group can take a helicopter tour or charter multiple helicopters to take you to a nearby golf course for a day of golfing. For small groups who want a real exclusive experience on the water, you can rent out the whole vessel for your group event. Some options include Adeline’s Sea Moose & Free Spirit Yacht Cruises. Both are two of Chicago’s top private yacht rental companies that cruise Lake Michigan. For a larger vessel, Chicago’s First Lady Cruises offer both private and semi-private groups the option to cruise both Lake Michigan and the Chicago River. If you’re looking for more of an outdoor outing with a team building element, how about doing an interactive cooking class or Chicago scavenger hunt? Jake Melnick’s offers a fun competitive sauce making class and Scavenger Hunts in Chicago provides multiple programs in the city and suburbs to build boost morale, enhance relationships, build camaraderie and improve communication – all while experiencing the unbeatable sights and sounds of the city. I have always enjoyed dining on the patio along the Chicago River. One of the places I hit at least once a year is River Roast on the Chicago River. Here’s a tip: Order one or two of the whole apple wood smoked Chicken with RR potatoes for your group to share. You will thank me later. Here’s another warm weather group outing idea for you. Experience Chicago’s unique and interactive dining experience, the Progressive Dining Tour offering with Chicago Dine Around. They pick your group up via coach bus and travel to three different restaurants for hors d’oeuvres, the main course and dessert. Trending today are escape rooms. Hard Rock Café’s Escape Room Package combines a trip to an escape room down the street. After you escape, walk 2 blocks west for a 2 hour cocktail reception at Hard Rock Café’s outdoor terrace. Most people don’t know that Whirlyball Chicago has an outdoor terrace that holds 60 with skyline views! Why not have your group play Whirlyball and have a reception on the terrace afterwards? Whirlyball has an extensive food and beverage menu. For large company and corporate summer outings and picnics, be sure to check out Maggie Daley park, UIC Picnic Grove, HT Picnics and the Museum of Science and Industry. For direct event manager contacts and more details for all of the places I mentioned, visit www.hereschicago.com and contact all of the above directly with your questions or interest. Enjoy your spring and summer planning.